Payments and data security expert, Jose Diaz, joins Prime Factors to oversee products and services. Prime Factors has named payments and data security expert, Jose Diaz as Vice-President, Products & Services. 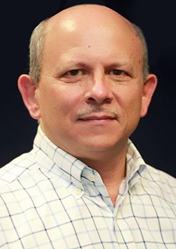 Jose Diaz has worked in data security and communications for more than 40 years, having most recently served as the Director of Payment Strategy at Thales eSecurity, with global responsibility guiding the development of solutions for financial services.